The Overland Xpo is all set for its 3rd installment this February 2 to 4, 2019 with over 100 4x4 vehicles joining. The Overland Xpo, organized by Overland Philippines, will be held at the heart of Zambales. The convoy will travel approximately 200 kilometers from Manila and experience the capabilities of their off-roaders before they reach the vicinity of Mt. Pinatubo—the chosen campsite area. In addition, adventure seekers will even have the option to trek at 5-kilometer trail to the crater. The term, “Overlanding” originated from Australians when they move their livestock over long distances. Today, Overlanding means a self-reliant overland travel to remote destinations, where the journey is part of the experience. “It’s a step up from your usual road trip. We need to cross rivers, tackle rough terrain and getting stuck is sometimes part of the fun,” says Tim Tuazon of Mototesto Overland Equipments Philippines, one of the lead organizers of the event. In the lead up to the Overland Xpo, a drivers’ briefing was held at the flagship store of R.O.X. at Bonifacio High Street, BGC. Drivers were given a thorough orientation on what to expect during the trip, how to prepare their vehicles, and themselves. “There won’t be any electricity, water or a gas station nearby so we want to make sure we are prepared. Fortunately, there are so many products now available locally for overlanding such as roof-mounted tents, collapsible tables and chairs, and even portable toilets.”, shares Joel Pedro of Adventure Kings Philippines. 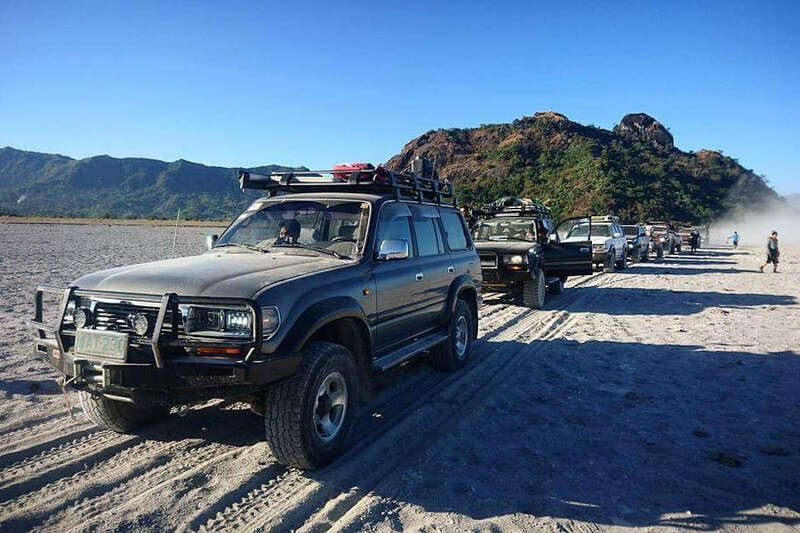 Organizers say that a stock 4x4 vehicle will be able to make it up to the campsite, but most of the participants have opted to equip their rigs with lifted suspension, auxiliary driving lights, and the appropriate mud tires in order to maximize the safety of the passengers and vehicles. “We have proper wheels and tires for special drives such as this. You won’t be going to a basketball game with leather dress shoes, right?” says Justin Uy, Marketing Head of Black Rhino Wheels - Philippines. “Likewise, the larger tires must be complimented with suspension that has a higher ride height and high-performance dampening properties to absorb all the bumps,” adds Tim Tuazon of KONI Suspension Philippines. For more information about the Overland Xpo or to find out how you can join the next installment, contact Overland Philippines at 63 917 8516130 or visit Mototesto Overland Equipments Philippines at 432 F. Manaolo Street, San Juan.